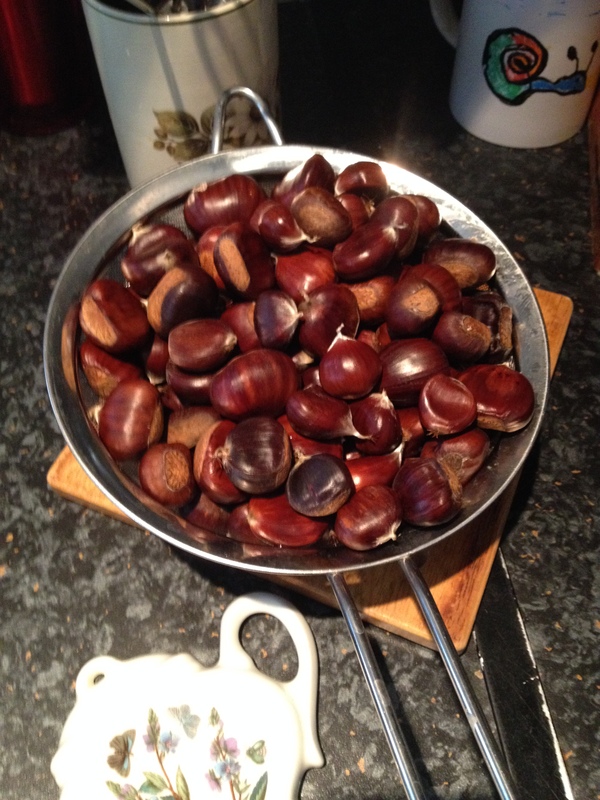 It’s the time of year when you can forage for Sweet Chestnuts either to eat now or to save for Christmas time. They can be used as a tasty snack or for stuffing in the turkey on Christmas Day. As with all foraged food if you don’t know what something is, don’t eat it! 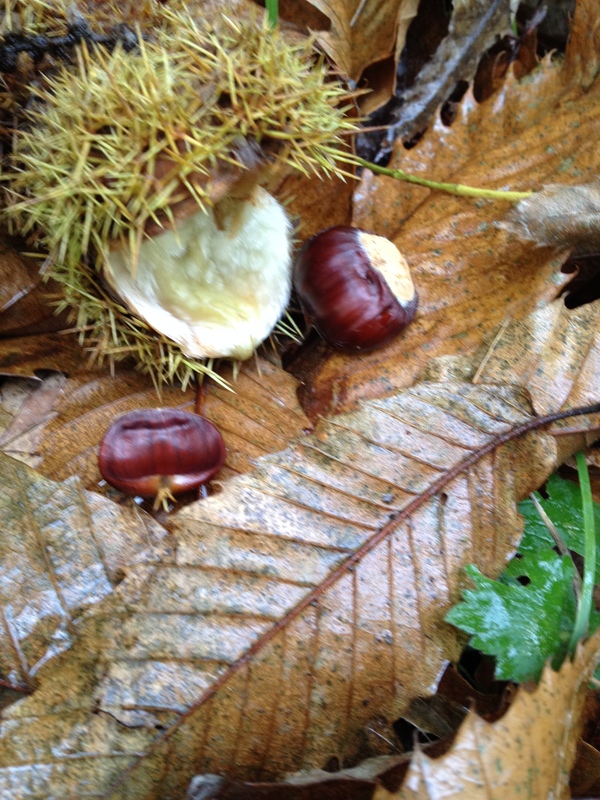 Sweet Chestnuts are very different to Horse Chestnuts (Conkers) which are poisonous. They have a much thinner and spikier outer casing than the Horse Chestnut. If in any doubt, leave them be! We gathered ours and brought them home. There they were washed, their skins nicked (to allow them to expand a little without exploding in the oven! ), and roasted on a baking tray in an oven at 200ºC (180ºC Fan), 400F, Gas 6. For about 20 to 30 minutes, depending on how large the chestnuts are. They can also be eaten without roasting, however beware that under the harder outer case there is a thinner membrane that surrounds the nut kernel. This can be quite bitter when they’re raw, so you may want to remove this too. Once cooked, allow to cool and then simply remove the outer case (remember they still might be hot to touch, so don’t burn yourself!) and eat. They should be soft and crumbly and slightly sweet. This entry was posted in Fork To Fork, Uncategorized, Wildlife/Nature and tagged forage, foraging, roast chestnut, roast chestnuts, sweet chestnut, sweet chestnuts. Bookmark the permalink.